It is indeed a great time to have a good working relationship with the people across race,colour and tribes.The unity, love and cooperation was highly encouraging as you stood firmly to support your loving and wonderful contestant to claim the awards. 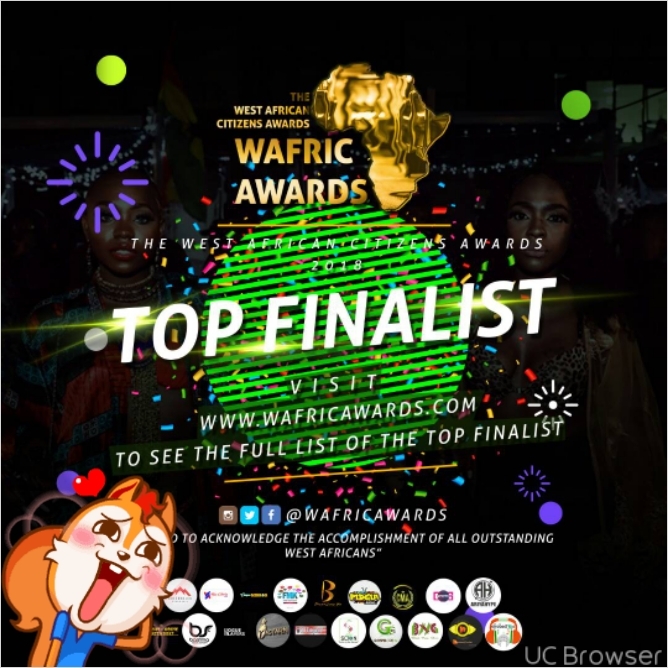 Maximum of five (5) nominees with the highest votes in each of all the award categories are being shortlisted. In view of this, there is a time of preparation and also a time to end the process as this has already terminated the voting process.We hope the organizational structure and partnership will be very beneficial to all concerned. Thank you all for the success accomplishments and even more to come by the grace of God. Below are the Top Finalists of Wafric Awards 2018 - Rewarding West Africans Africionados Edition. The winning criterion will be publish shortly.